You've heard of public/private partnerships. How about public/private pitch events? Telecom giant AT&T teamed up with Baruch College to host a fast-pitch session where last week eight New York-based college entrepreneurs vied for seed funding and a possible spot within AT&T's Foundry, a network of innovation centers founded in 2011 and based in Palo Alto, Calif., Ra’anana, Israel, and Plano, Texas that seek to nurture innovative ideas for the advancement of the AT&T company, namely in the mobile marketplace. The two-month competition, AT&T and Baruch College Fast Pitch Competition -- which started in March -- attracted more than 100 submissions from across the U.S. Teams were required to develop business ideas using AT&T technology in one of three key competition tracks: wealth, education/health and entertainment. Though the idea of pitch contests and entrepreneurship incubators are just about as old as entrepreneurship programs, private businesses joining in on the craze is a growing trend. From Intel to IBM to AT&T, companies today are aiming to enrich their own product portfolios by mining the best and brightest while they're still in school. Fast Pitch Competition judge Sanjay Macwan who also serves as vice president of innovation and technology at AT&T's Chief Technology Office says the contest is beneficial for AT&T and student entrepreneurs. 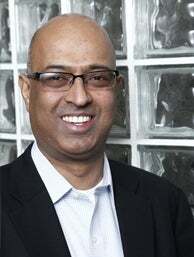 "We are looking to launch new services and new network solutions using Foundry's new ideas and technologies from innovators outside of AT&T," says Fast Pitch Competition judge Sanjay Macwan who also serves as vice president of innovation and technology at AT&T's Chief Technology Office. "That's a key benefit to us in terms of driving innovation forward in the mobile ecosystem." Traditional incubators typically aim to train and mentor startup founders, while facilitating connections to angel investment opportunities and venture capitalists that may fund promising startups in exchange for a future equity split. By contrast, private incubators like AT&T's Foundry use the fast pitch sessions as a way to recruit new ideas and technology into their companies. They partner talent with mentors from AT&T divisions in which the new technologies may prove beneficial. Of course, on-campus speed-pitching contests aren't a new phenomenon. Investment groups like Tech Coast Angels and non-profits such as Savannah, Ga.'s Creative Coast hold on-campus events. Then of course, there's Intel. The famed chip maker is known for its annual Intel International Science and Engineering Fair at the high school level. The company also sponsors the Intel Global Challenge at University of California, Berkeley. Unlike the AT&T program, that event is a global competition -- offering university-student teams an opportunity to present business plans and creative ideas to professionals in the venture capital world with the grand prize winner netting $50,000. The competition may serve as something of a recruitment tool for AT&T, but it also benefits young developers, says Macwan. "They have a major organization like AT&T to work with and collaborate with," he adds. "We have top experts available, top infrastructure available, so you would have access to infrastructure and expertise from AT&T to really collaborate on moving the idea forward." Is the private incubator model right for your startup? They both have their pros and cons, but incubators backed by major companies may aid your development into a seasoned entrepreneur at a faster rate, says Bruce Bachenheimer, director of entrepreneurship at Pace University's Lubin School of Business. "They all bring something unique and different and there certainly are a lot of benefits to the different approaches," he adds. "One thing that the Foundry does that's special is creating the mindset of an entrepreneur primarily as opposed to just counting the number of startup companies they create." And though it would appear that pitch contest winners may be beholden to their big-company benefactors, that isn't necessarily the case. 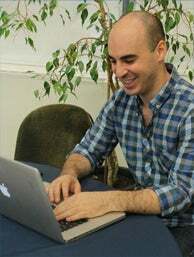 At last week's AT&T and Baruch College Fast Pitch Competition, Leigh Drogen, 26, won in the wealth category for Estimize, a New York-based online platform for estimating companies' financial trajectories. The Estimize team which consists of Drogen and three developers, won't work directly with the AT&T Foundry, but will instead make use of the free access they were given to AT&T’s API as part of their win. "I don’t think we’ll be in any way restricted or limited by working with them," says Drogen.